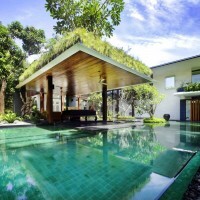 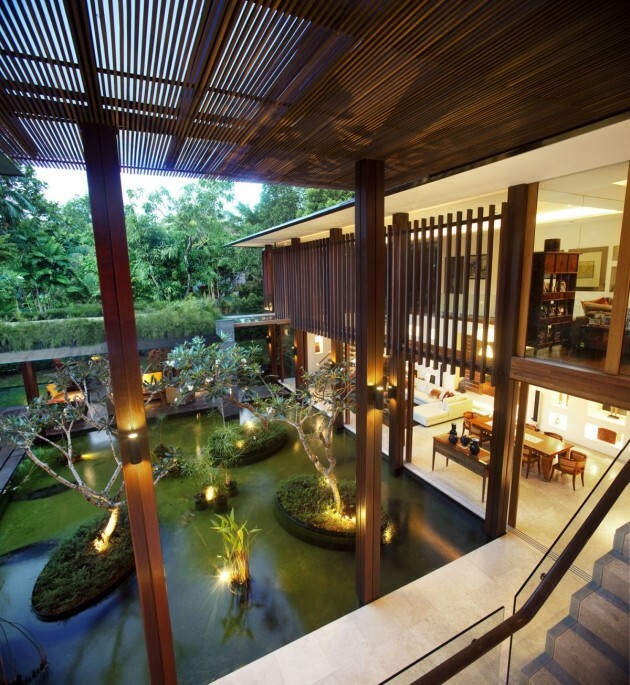 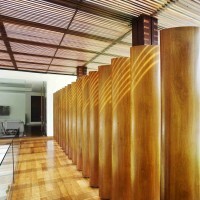 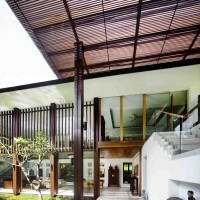 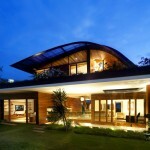 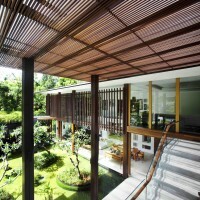 Guz Architects have designed the Sun House in Singapore. 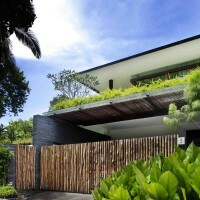 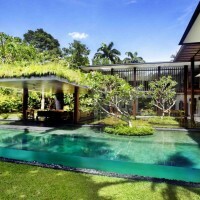 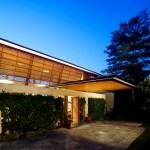 The sun house is a relatively compact house for Singapore on a roadside corner plot in an established bungalow area. 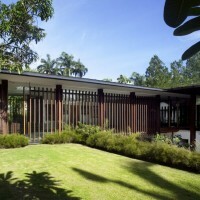 We endeavoured to make the most of the site by pushing the main ‘L’ shape of the building to the rear. 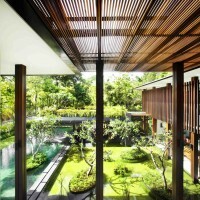 This then created an open courtyard which was private but with still a feeling of openness on the relatively densely constucted site, thus still allowing for good views and airflow. 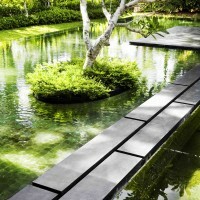 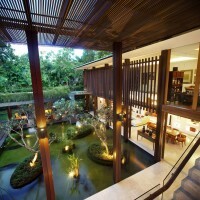 We used the ponds and pool as cooling elements for the building as well as visual focal points. 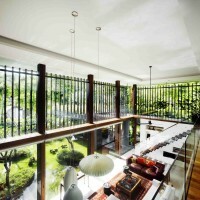 Volumes and space were maximised as much as possible by sharing the open staircase and double height living space with the courtyard area. 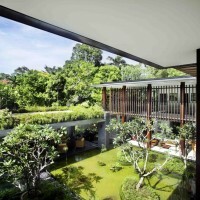 At the end of the day the house was also designed around the owner, who had a lovely collection of artwork and sculptures and this inspired the creation of a large solid wall with niches which housed his artworks as well as giving the building an anchor on which to expand other spaces.